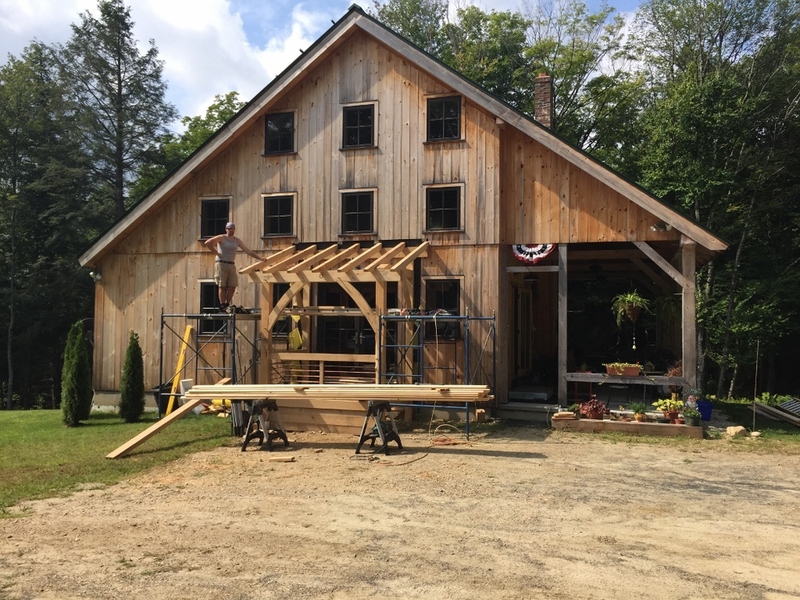 We designed an built a small English-style timber frame porch for a house that we built several years ago. The porch is all white oak, black locust, and copper, which will all naturally rot resistant and will be left to weather. More pictures coming as we wrap things up.